Hi there! 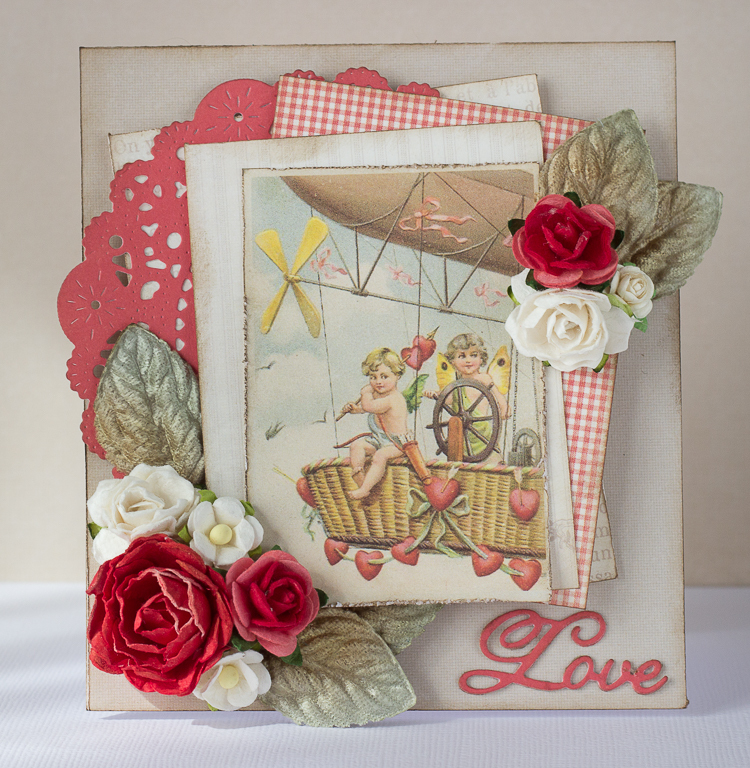 I mixed two Pion collections to make a St. Valentine’s card: Paris Flea Market and Siri’s Kitchen. I wanted to use the neutral tones of Paris Flea Market but also wanted to add a few red accents to match the gorgeous image from Images of the Past. This is absolutely darling, Teresa….